Isn’t that special? 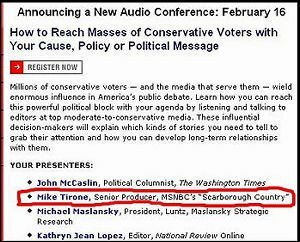 For $279, MSNBC will help YOU use THEM to reach out to conservative voters. Time for another blogger ethics panel! I’ve just posted a long post explaining the entire sordid affair in detail. It’s pretty sick.